The top overall seeded Blue Devils (30-5) led by just four points at halftime, but opened the second half on a 9-0 run and never looked back en route to the comfortable first-round game victory. Barrett recorded a double-double with 26 points and 14 rebounds, while fellow freshman sensation Williamson scored 25 points on 12 of 16 shooting from the floor. Williamson, who thrilled the crowd with a number of dunks in an explosive NCAA Tournament debut, was rested for a big portion of the second half, despite not picking up a single foul in the game. Cam Reddish added 12 points for Duke, which shot almost 51 percent overall from the field. Vinnie Shahid scored 20 points to lead North Dakota State in the defeat. Jordan Horn ended with 11 points for the Bison (19-16), who trailed 31-27 at the break, but couldn’t contain Williamson, who took over the game after the interval and in the blink of an eye, Duke stretched the lead to 40-27. North Dakota State coach David Richman said the Blue Devils proved why they were selected as the No. 1 overall seed. “Duke was the No. 1 overall seed there, especially in the second half, they get out in transition like that and turn you over, they’re elite,” said Richman. With a big lead and just over four and a half minutes remaining in the second half, Krzyzewski emptied the Duke bench. “In the second half, we played just beautiful basketball for those 12 minutes, and then we subbed, and they subbed. 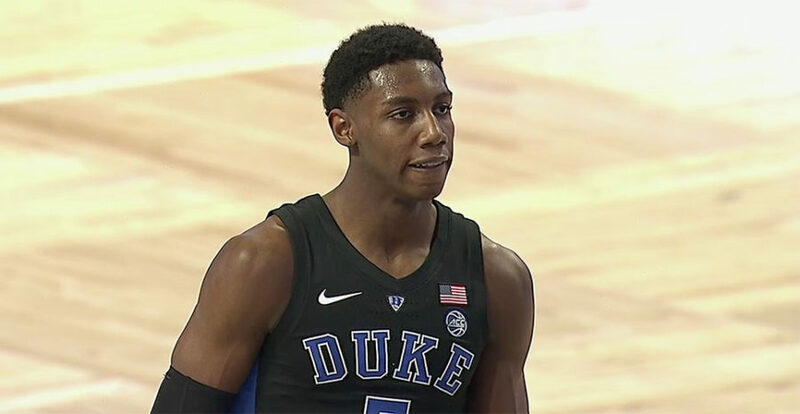 The Blue Devils (31-5) will face the winner of the clash between the eighth-seeded VCU versus No. 9 seed UCF on Sunday in the second round. North Dakota State’s season comes to an end.